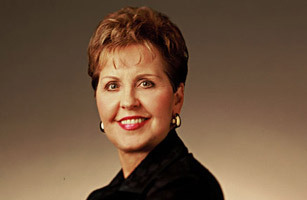 It is the stories from her personal history  her abuse as a child, her failed first marriage  that resonate with Pentecostal Joyce Meyer's predominantly female audience. Based in Fenton, Mo., Joyce Meyer Ministries teaches Bible to a virtual congregation. She is a traveling road show with a multimedia connection to followers. Meyer, 61, offers a gospel of prosperity that promises that God rewards tithing with his blessing. But her own conspicuously prosperous lifestyle  which, according to the St. Louis Post-Dispatch, includes a $2 million home and a $10 million jet  concerns some Christians. Meyer's spokesman says 93% of the $8 million her ministry takes in each month goes to more than 150 charities worldwide, but the Christian watchdog group Wall Watchers has asked for an IRS investigation into the ministry's finances. Meyer says an investigation does not worry her, and she continues to deliver her uplifting message on more than 600 TV stations and 400 radio stations as well as in 70 books and scores of stadium-filling appearances.